Many health care investors are breathing a sigh of relief now that Donald Trump has defeated Hillary Clinton in the presidential race. Shares of pharmaceutical giants and big biotech firms surged Wednesday, largely due to hopes that a President Trump will not be as concerned about high drug prices as Clinton would have been. Mylan (MYL), the controversial maker of the allergy medication EpiPen, rose 5%. Shares of Merck (MRK), Pfizer (PFE), Allergan (AGN) and Gilead Sciences (GILD) all surged about 6%. European drug giants Sanofi (SNY), Shire (SHPG) and GlaxoSmithKline (GSK) all roared higher as well. Drug and biotech companies have been under attack on Capitol Hill for the past year due to price increases for live-saving drugs like Mylan's EpiPen and Daraprim, an HIV treatment owned by the company that was once run by Pharma Bad Boy Martin Shkreli. After Trump won, Shkreli even released some previously unreleased tracks from the Wu-Tang Clan album he bought a few years ago. 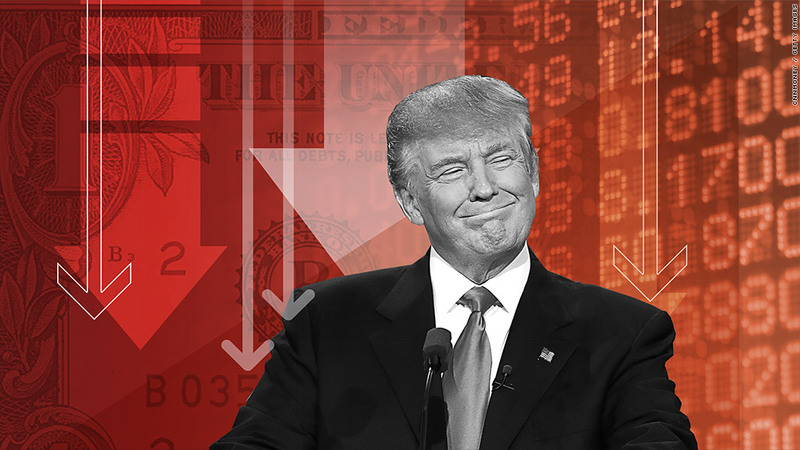 Many market strategists believe that Trump will not focus as much on high drug prices. Instead, he may seek to undo much of the Affordable Care Act -- aka Obamacare. That's probably the reason why several hospital stocks were plunging Wednesday. HCA (HCA) fell nearly 15%. Tenet Healthcare (THC) and Community Health Systems (CYH) each lost a quarter of their value. Kong said that a sell-off of this magnitude may be unwarranted though. She thinks it is too soon to tell just what changes are made to the ACA. Bob Phillips, managing principal of Spectrum Management Group, added that investors may be underestimating the possibility of Trump being critical of drug companies too. He noted that Trump is, by his very nature, a populist. And one thing that Democrats and Republicans can both agree on is that increasing the price of a drug by more than 5,000% isn't exactly something to just write off as capitalism at work. "There will still be a lot of scrutiny on drug prices under Trump since health care costs are rising faster than many other parts of the economy. I'm surprised at this big move higher for pharma and biotech stocks," Phillips said. Phillips added that controlling health care prices will still be a focus under Trump and that talk of the ACA being completely undone may be more rhetoric than reality. But David Lafferty, chief market strategist with Natixis Global Asset Management, added that the threat of Clinton cracking down aggressively on drug prices was significant. That's why he thinks many health care stocks were soaring Wednesday. "Pharma and bitoech stocks were so beaten up due to political fears. The worries about Clinton are now gone," Lafferty said.